9. (8) Kim Garst ? She Owns It Founder. Purveyor of Possibility, Entrepreneur Advocate + Coffee Addict. Behind every successful woman is her story. What's your story? 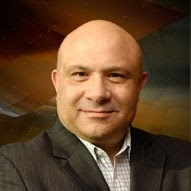 Robert Alexander is CEO of @360WiseMedia® Top1% Icon & PublicFigure #PR. Social Media Author, @RBSExecEd & @IMI_Ireland Educator, Keynote Speaker. Speaking at #smmw19 & #cmc19. Next book: Influencer Marketing. Next Trip: Japan. Seeking truth & observing life. Building @producthabits & @usefyi with @MarieProkopets. @startupchat co-host. Started @crazyegg & KISSmetrics. #ContentMarketing @DignityMem, #SocialMedia Speaker, Blogger. Influencer @Verizon @Ford. 2 degrees from @KevinBacon, once stood up @BritneySpears on a date. Speaker, Author, Blogger, Podcaster & Founder of ProBlogger, Problogger Events and Digital Photography School. ✭FORBES Top 50 Social Media Power Influencer ✭ Social Media Consultant and Creator of Instagram Growth Hacking and Hashtag Like a Pro. The Functional Futurist. I don't just see the future. I get there first. Writer, publisher and founder of elementary school theater program in Gilpin County, Colorado. I don’t do things the old fashioned way. Small business marketing strategist, founder of GrowMap, Community Manager at BizSugar, contributor to SmallBizTrends, AllBusiness, SocialMediaToday and other sites. Owner, Gil Media Co. Keynote Speaker, and Social Media Strategist. Formerly, @LinkedIn. Contributor, @Entrepreneur. I love technology such as #AI, #robotics, #3Dprinting & #blockchain and am excited about its potential on businesses and society. All views are my own. Writer and compulsive traveler. Author of SIDE HUSTLE, THE $100 STARTUP, and host of #SideHustleSchool - new episode every day!